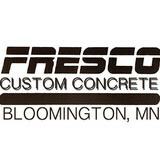 Fresco Companies specializes in concrete polishing, design and repair along with commercial sandblasting and power washing. We can transform your floors into a durable, attractive, low maintenance surface. With options to pick a custom color, design or logo, we can turn your Terrazzo or Concrete floors into a work of art… and all of this is done using water and diamond blades without any harmful chemicals or odors. We perform concrete polish, stain work, sandblasting and power washing both locally and nationally. Fresco Companies also provides building maintenance and project work as well as sales of building and janitorial supplies. Contact us today to learn more! What can I expect from a professional stone cleaner in Blaine, MN? Find a Blaine natural stone cleaner on Houzz. Narrow your search in the Professionals section of the website to local stone cleaners in Blaine, MN and read reviews and ratings to find one that fits your needs.